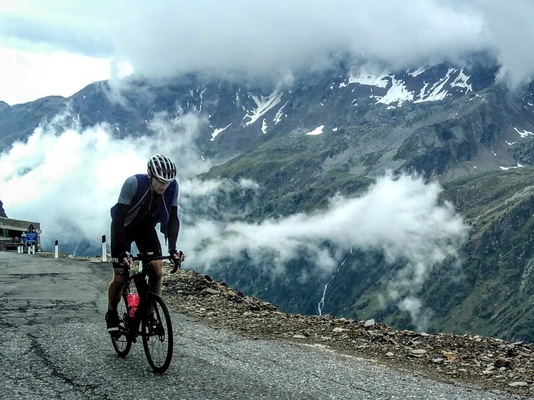 From Phil Deeker, founder of the Cent Cols Challenge: This is only the second time it’s been held. In 2017 it provided many of us with some very rich stories to dine out on as well as being a total revelation to most of a part of Italy that is less well ridden. Remote, wild and very Italian! Phil: The infamous annual “hARDENNES” event is 8 days of hArd riding, including catching roadside moments of the Amstel Gold, Flèche Wallonne and L-B-L Classics races. The Best of the Ardennes, quite simply. Phil: The Dolomites is the beginning of the end. This is the last time I will run this one. The end has to start somewhere….not that I was in a hurry to cross this one off. It has ALWAYS been the event I have been the most relieved to finish and also the most rewarding. Such are the demands and generosity of this great range of mountains. We spend actually more time outside of the Dolomites National Park than in it, but even remote back roads in the Velonese hills are steeped in that special Italian aura, operatic in their soul! Drama is there in the rock outlines; in the road design; in the people themselves and in the climbs. Start a 200km stage with the Zoncalan and end it with the Tre Cime and then let’s talk! Phil: I love to search out a way of combining the bucket list climbs with totally unknown ones. This, I think, is what many CCC riders come back for. They know route design is what I love doing most, and it seems that I have a nice way of doing that! To combine the iconic and the unknown in the same stage is a winning formula. I use and abuse this one! This event route is one of my ‘best’ examples of this, I think.